René Magritte’s 1928 painting “La Trahison des Images” (“The Treachery of Images”) is a fun example of the simulation the real. On the one hand it is just the image of a pipe, not a pipe itself – it is a simulation of a pipe. 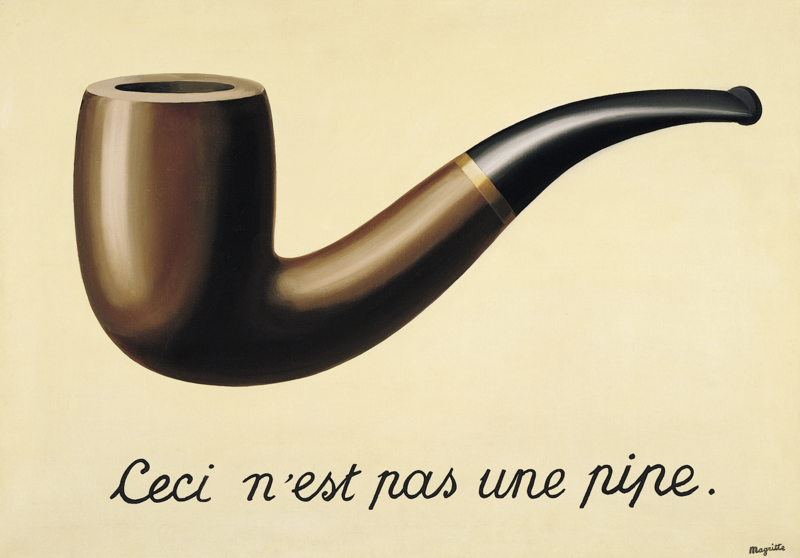 On the other, however, is the fact that it is, in fact, a real painting of a pipe. 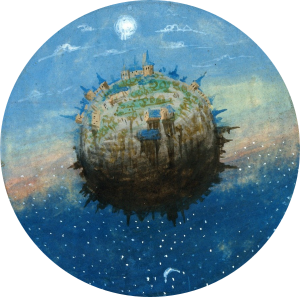 The painting does in fact exist even if what it is a painting of does not exist. Another example is from the novel War and Peace when Marya gives her brother Andrey (an atheist) an icon to wear around his neck as he heads off to war. She simply believes this icon will keep the grace of God with him as he heads into danger, and though he does not believe in God he does wear this because he loves his sister. In neither case is the icon actually God nor is it love, but it simulates both of these things at once (in a different way to each of them). Later in the novel a peasant woman describes how an icon in a distant church was physically weeping, yet Andrey’s friend, Pierre, explains it was all a trick to separate poor people from their money. The peasant woman takes offence because to her the weeping icon was a sign of and by God, but for Pierre it was a sign of corruption and deceit. I use these two examples of icons because Baudrillard talks about religious icons and the role they play in the religious experience. An orthodox Catholic places great importance of the icons of Jesus and Mary and St. John the Baptist, whereas some Protestant faiths (those of the iconoclasts tradition) do not believe religious imagery should be used since it gets in the way of the act of God’s breath of life into the soul. This then raises an interesting paradox within Protestantism’s belief of self-salvation (the individual working out their own salvation) of thus interpreting God differently than their neighbor, unlike the Catholic’s who have a structured hierarchy of images with which God is already interpreted for them. The iconoclasts may be “the ones who accorded [the images] their actual worth”, but what exactly is this “actual worth” since it differs from individual to individual? In short, which is real? The icon or the absence of the icon? The pipe, or the simulation of the pipe? 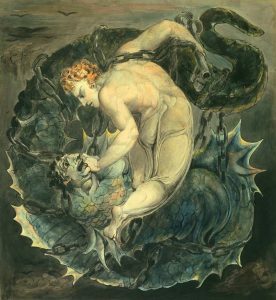 To build on the religious experience of images, Milton’s Paradise Lost describes the fruit that Adam and Eve ate as being an apple, yet nowhere in the Bible is there any distinction as to what fruit it might be, it’s simply the fruit of the tree of the knowledge of good and evil (as opposed to the fruit of the tree of life). No apples are in the Hebrew Old Testament book of Genesis. Yet ask any “man on the street” what fruit was eaten in in the bible and they will (most likely) say it is an apple. The apple has become a symbol of the downfall of humanity, the fruit we ate which got us kicked out of the Garden of Eden (Paradise). Humanity was tricked and the apple has becomes a symbol of this deceit, a dissimulation, when in fact it was originally that which gave us the knowledge of good and evil (the knowledge of God himself).